Let’s talk tiny house! What is a tiny house? What is the movement behind it? Who is living in tiny houses? Is there a downside? Are tiny houses happening in Australia? What classifies a house as tiny? Why is it not just small? Let’s start with some numbers and figures to get some perspective. According to Architecture AU, the average size of a new house in Australia is about 243.6 square metres. Making Australian homes the biggest on average compared to anywhere else in the world (ABC News). At the same time, however, the actual size per household only amounts to 2.6 people. So based on these figures each person living in an average Australian house has around 81 square metres of space available! Gasp! I think I have barely lived in apartments this big. This is just so much space, available to only one person. Compared to this the size of a tiny house seems ridiculous because the average tiny house is between nine and 37 square metres! This is proper tiny and certainly deserves the name, right? Often tiny houses are mounted on a trailer for mobility. In comparison to that, small houses are between 37 and 93 square metres. Who is living in tiny houses? Typically tiny houses are occupied by one or two people. In saying that, I have also seen people with small kids, dogs, cats and even rabbits live in a tiny house. Everything is possible!! But according to The Tiny Life, 38% of tiny house owners are over 50 years of age and 21% are between 30 and 40 years of age. Furthermore, with 55% vs 45% more women live in a tiny house than men. Also interesting, tiny house owners are twice likely to have a masters degree and they are financially better off than owners of regular houses. Please note that all numbers and figures in this paragraph are based on US statistics. The full article can be read on The Tiny Lifes’s website. The recent tiny house movement started in the USA in the late 1990’s. But the movement dates back to the early 1070’s with Lloyd Kahn being one of the early pioneers. He’s the author of the book Shelter (1973). In early 2000, Jay Shafer was one of the first people to live in a house as tiny as 9 square metres! Later he offered the first plans for a tiny house on wheels. Shafer is the initial founder of Tumbleweed Tiny House (2002). In the same year, he co-founded the Small House Society. In 2012 he started his new company Four Lights Tiny House. There are a number of reasons for the rise of the new tiny house movement in the USA. The two biggest reasons were hurricane Katrina in 2005 and the financial crisis in 2007/8. In 2006 Marianna Cusato came up with the design for the so-called Katrina Cottages. The cottages were designed as an attempt to provide flood victims with more permanent and humane housing solution. In the aftermath of the global financial crisis, the tiny and small houses gained more popularity because of their affordability and eco-friendliness. There are a lot of things to consider before building tiny. A house, even if it’s a tiny one, is still a house, right? Listed in this paragraph are some of the bigger issues you should think about before building. There is certainly more to consider but this is a start. Although the costs of building a tiny house are much smaller than building a regular sized home, it will still cost a solid five digit amount of AUD$. The price varies from house to house and depends on a lot of factors. Banks might be hesitant to give out home loans for tiny house builders. Definitions for tiny houses are vague. If they are on wheels, they’re not even considered a house. So it’s a good thing to sort out the finance side of it in advance. The tiny house has to ‘live’ somewhere. Unless you own your own land you have to think of a “parking spot” for your tiny home. Sometimes even trailer parks have an issue with an actual house standing in their park. So another problem might arise with the question of where to put the tiny house? Council regulations might be another problem. In order to build a tiny house on your own land, you most likely have to get approval from your local council first. If the tiny house is mounted on a trailer it should be classified as a ‘trailer’ rather than a house. So parking a tiny house on wheels on someone’s property (with the owner’s permission if you’re not the owner!) should not be a problem. Make sure to do your research on these matters and any other issues that might be related to building a tiny house on wheels. Rules can change and I’m not your local council representative. The tiny house movement has started in Australia too. It is still in its’ early stages and nowhere near as big and commercial as in the USA. 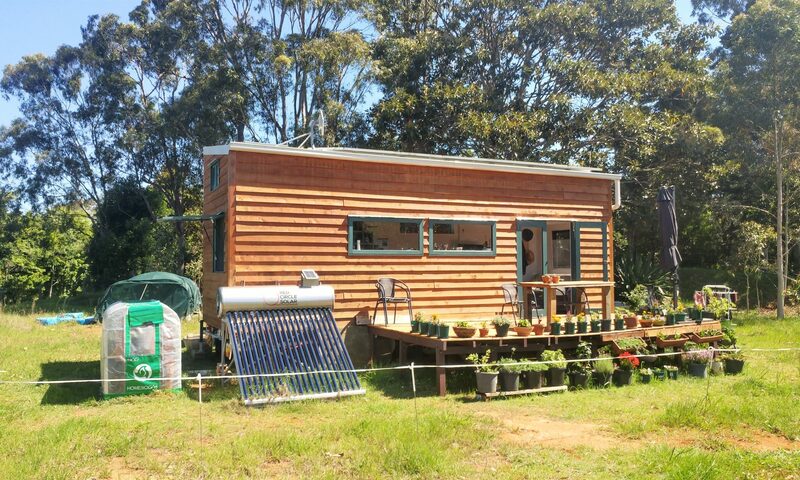 Australia only has a hand full of companies offering tiny house builds and just a few tiny houses on wheels all across the country. However, people in Australia are definitely interested in tiny houses despite the fact that new Australian homes are getting bigger and bigger. People here in Australia might not all live in a tiny house on wheels as per above definition. However, I have met people who are living in renovated buses or vans. So tiny living is definitely a thing here. The reasons for building tiny are similar to those in the USA with the biggest reason being affordability. House prices and mortgages are skyrocketing which makes it almost impossible for first home buyers to afford their own home. Other reasons address the fact that houses are simply too big, “…isolating even the people who live in them from themselves.” We remember 81 square metres per person!!! Overall, at the moment the majority of Australians might not see the point in tiny houses. Compared to the US the need for tiny homes, for example, due to financial and natural disaster, is not given here. But there is certainly a growing awareness of environmental and other social issues. The Tiny Homes Foundation, for example, has received approval to build Australia’s first tiny house project for homeless women, men, youth and the elderly. 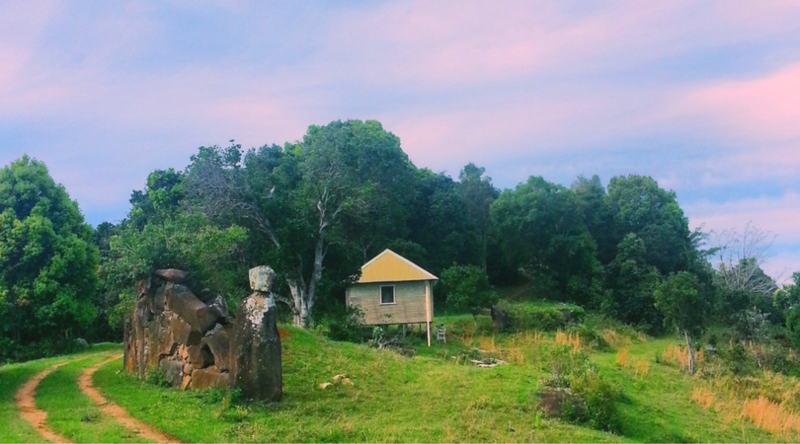 There is a lot of potential in Australia for tiny homes. I have no doubt that they will get more popular in Australia because they represent a serious housing alternative for people who would otherwise not be able to own their own house. On top of that, they offer a more simplified and sustainable lifestyle. Next PostNext Learn how to propagate succulents in 4 easy steps!